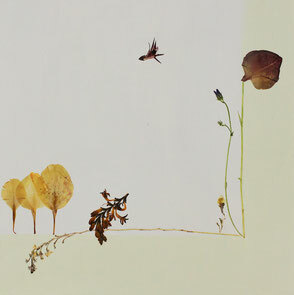 From blossoms arise in the studio of Tina Altus in Leipzig unique pictures. 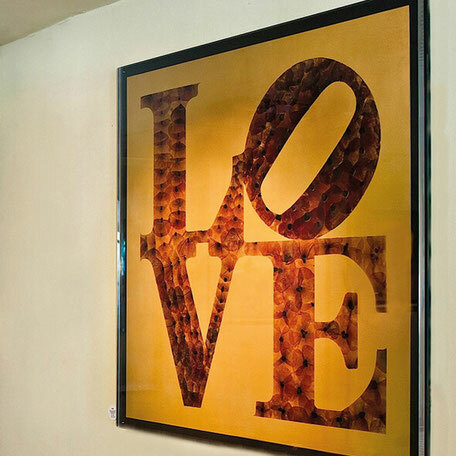 The works of art stimulate the imagination of the beholder and give you plenty of room for your own interpretations. 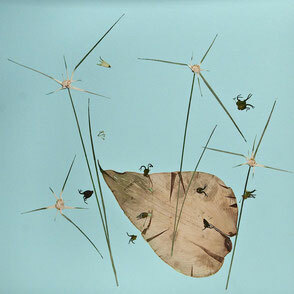 Here in the online shop you will get a small overview of her work. You can view the pictures in large format and be inspired. 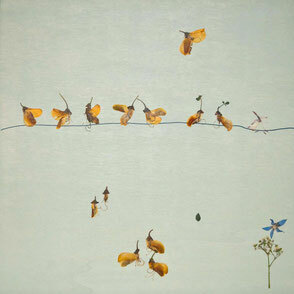 You can buy a few selected works of art by Tina Altus in the shop. 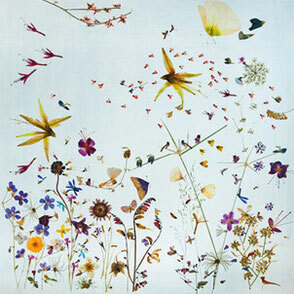 The Leipzig artist Tina Altus founded an extraordinary and creative visual language with flowers. With the uniqueness of the shapes and colors of the flowers creates complex visual worlds. The viewer sees the entirety of the picture and is able to discover more picture worlds in the pictures. Her works of art stimulate the imagination and the joy of discovery. 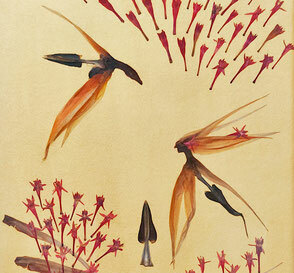 The flowers tell you imaginative stories based on their shapes and colors. In this way, animals and people can be discovered in the world of flowers. 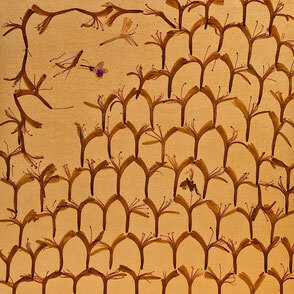 For many years, Tina Altus has been working intensively on the preservation, drying and pressing of flowers. It is a terrific field of research. It collects almost all flowers personally and knows exactly which plant is blooming where and when. 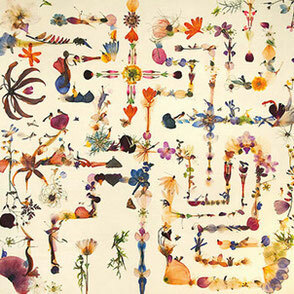 She draws exotic and very rare flowers from her master florist or brings her from research trips. The result is a huge collection of thousands of flowers and plants. Her shapes and colors, her versatility are the source of inspiration for her unique works of art. 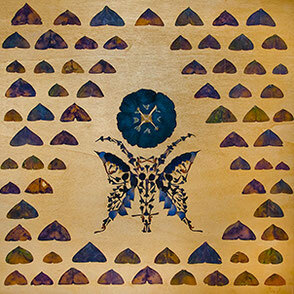 Tina Altus creates extraordinary unique pieces that can never be copied, unlike traditional works of art, because no flower is found twice in nature in form and color. Particularly noteworthy is their stylistic versatility. All artworks differ and pick up on different topics. 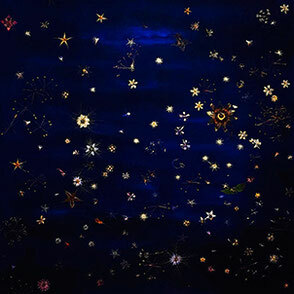 Besides small miniatures and larger works, true masterpieces of visual art are created. Especially the big pictures are subject to a lengthy creative process. 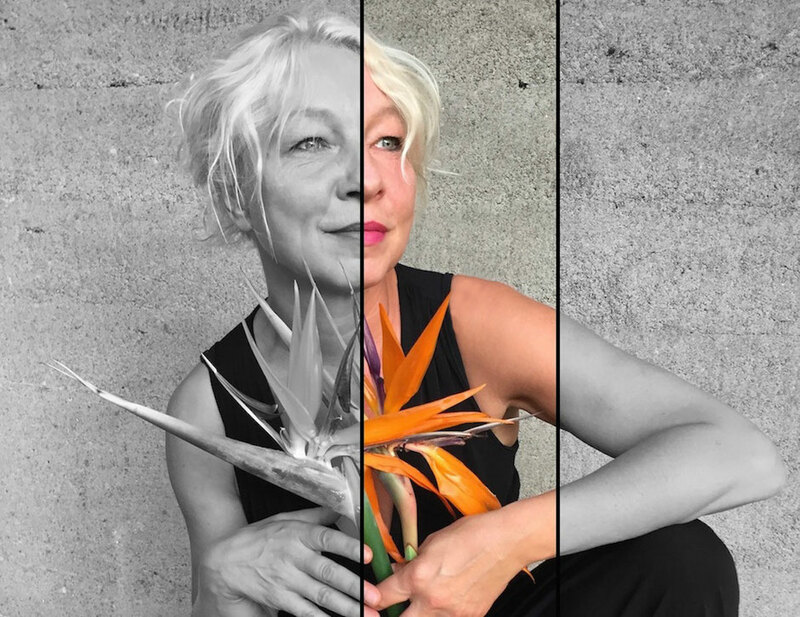 While the conventional artist simply reaches for the brush, Tina Altus first has to find the right flowers for her artworks. In the case of native plants, "finding" depends above all on the season and a great botanical knowledge. The plant cell - explicitly flowers - are the source materialof my artistic work. Plants and flowers carry the urine information of life and transform under my hands into a highly subtle and wafer-thin fragile material. Iexamine plant cells for their hidden information content. It's like the cellsgive me more information through the process of drying and pressing. In mpictures, I am very careful with the material that undergoes a metamorphosi through my work. A single petal becomes the source of inspiration. Likewise the material itself, which I produce. The flowers are broken down into their components, gently pressed, dried. With special papers and various finishes that I developed, I am responsible for ensuring that the color is retained. What comes to the fore and is itself still in flux, during the drying process and beyond, carries poetry and life in itself. Flowers are picked into their components, gently or force pressed and preserved with special procedures. Finest structures are created in this process. I am interested in the materiality of this fine material. The plant cells - the smallest living units of all living organisms - evidently contain millennia-old secrets. 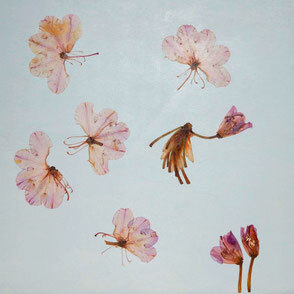 In my collection are thousands of pressed flower parts. Some seem to have the same shape and structure. On closer inspection, however, no petal looks like another. 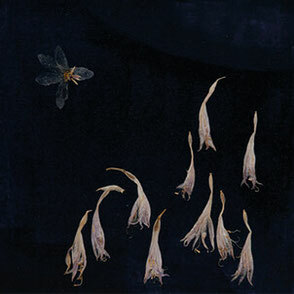 The flowers reflect familiar forms of the present. They become my design material. In the work of art "Taurinus" it was originally the flower of the Protea purpurea, the African national flower. Decomposed into its components, every calyx, every petal becomes a tri-color material. Finest hairs can be recognized, such as bones they come from and inspired me to this work. At certain times, I obsessively collect a particular flower, experimenting with different pressure on pressing to get a different expression. I take advantage of the different stages of flowering, as the material is different. With this I draw the secret from the flowers. My sketches or even larger poetic works are created from this material, which I made. They are in themselves irretrievable and unique, since no flower in nature occurs twice. There is a fascination in it. This gives me the opportunity to express myself artistically and to communicate. I make something visible, which otherwise would not exist. that is a happy moment of my work. More and more questions arise. Sometimes I have to wait another year before the cycle of nature reflects this particular flower variety and I can continue exploring. And there is always the reverence for nature that speaks tome, of which I am a part - even just a pile of cells, fed from the primal information of the plant cell - but with the ability to express myself and to communicate. I go on, as it were, and expand my gaze to what nature offers, whose component and guardian I am. The flower material, my exploration of nature animates me to stagings of archaic, fabled, symbolic or mysterious imagery. I want to seduce people to face nature with imagination and awe. Everything is there if one succeeds in sharpening the gaze, on the diversity of what surrounds us and of which we are part. My suggestion is to make this visible in my pictures. 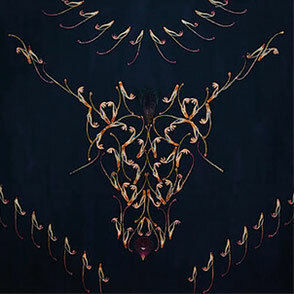 Just as the art of Tina Altus is unique in the world and protected by the "Flora-Metaphorica" brand, the sale of the paintings is unique and contemporary. 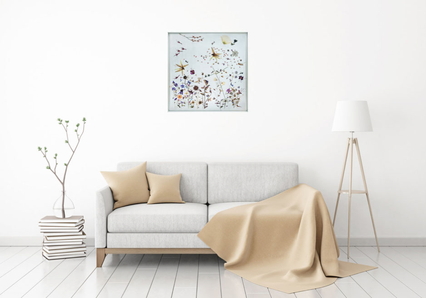 As one of the few contemporary artists, she sells her artwork through her own online shop. The pictures are placed very large in the shop. So you can almost speak of a gallery that has opened online around the clock for you. All pictures shown in the shop are available and can be delivered within 5 working days. As payment methods, you can use the payment cards "Prepayment - Cash on Delivery - Paypal" in the online shop for art. All pictures shown in the shop can also be viewed in Leipzig in the studio by appointment at short notice. Please contact Tina Altus personally via email. You would like to commission your own unique artwork? Whether for your own home or business premises. It can also be a special gift. The artist Tina Altus will gladly create a unique piece for you. Say your budget and we'll look at the possibilities that come with it. They discuss topic, color and size of the picture personally with Tina Altus. A few days later you will receive a detailed offer including the price. 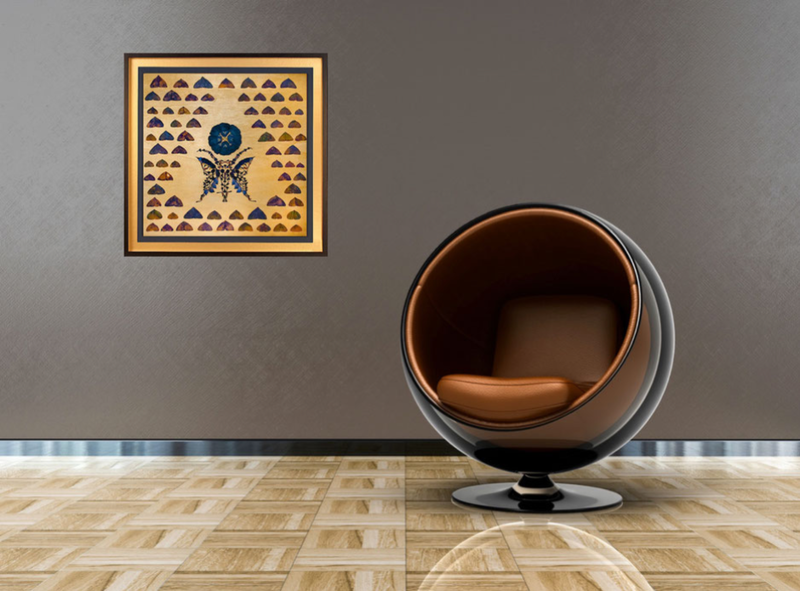 Determine the price you are willing to spend on one of the artworks offered. Give your offer to the artist. If you are interested in one of the works, please send us an offer by eMail (LINK). We will respond promptly and let you know if we accept your proposal. Or we will make you our price proposal. So we are talking to each other. Tina Altus also keeps a list of works ready for you to download as pdf.